Fresh off the announcement that Corey LaJoie is taking over the No. 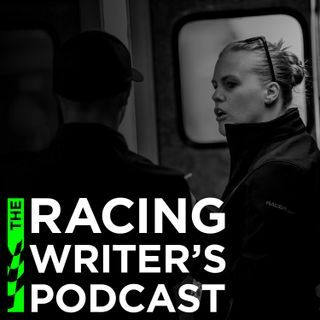 32 at Go Fas Racing he joins the podcast to talk all about it! Corey is going to explain what made Go Fas appealing and why he compares his career to playing a NASCAR video game; where his belief in crew chief Randy Cox comes from; the business of bringing sponsorship; running a full season and being the first LaJoie to do so in the Cup Series; whether he understood why his father, two-time Busch champion Randy LaJoie, was ... See More raising him a certain way and if he looks back with respect for dad; the story of why he never started where he qualified until the K&N Series; looking back on mistakes and missed opportunities; why he needs to thank Ron Devine; why he believes he belongs in the garage; explaining how he makes deals happen; what Jimmie Johnson and Chad Knaus tried to help him with; who he goes to in the garage for advice; what needs to happen for him to categorize 2019 as a success. Music: www.bensound.com.